AKA: Atlantis. Launched: 1985-11-27. Returned: 1985-12-03. Number crew: 7 . Duration: 6.88 days. 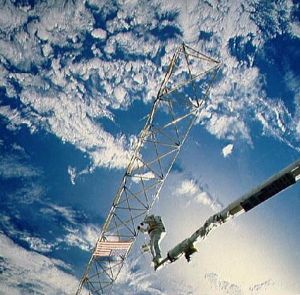 Location: First Mexican astronaut..
Payloads: Deploy SATCOM (RCA-Satellite Communications) Ku-2 with Payload Assist Module (PAM)-D II. 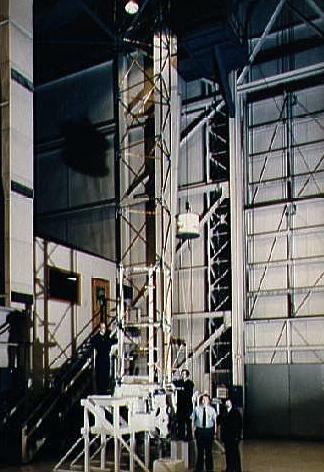 Deploy Morelos (Mexico communications satellite)-B with PAM-D. 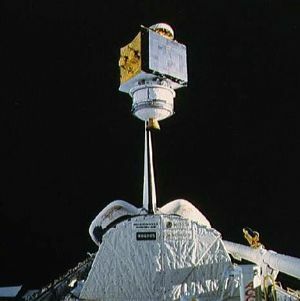 Deploy AUSSAT (Australian communications satellite)-2 with PAM-D. EASE/ACCESS (Assembly of Structures� Assembly Concept for Construction of Erectable Space Structures) by extravehicular activity (EVA) astronauts, Continuous Flow Electrophoresis System (CFES), Diffusive Mixing of Organic Solutions (DMOS), IMAX camera, one getaway special (GAS), Linhof camera and Hasselblad camera. Orbits of Earth: 108. Distance traveled: 4,568,882 km. Orbiter Liftoff Mass: 118,664 kg. Orbiter Mass at Landing: 93,316 kg. 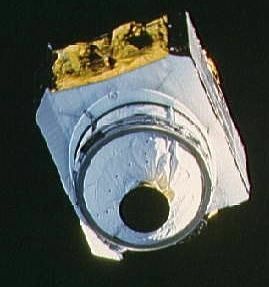 Payload to Orbit: 21,791 kg. Payload Returned: 9,282 kg. Landed at: Concrete runway 22 at Edwards Air Force Base, Cali. Landing Speed: 350 kph. 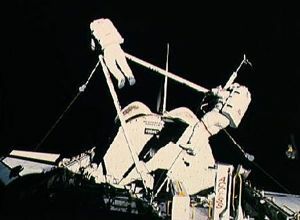 Touchdown miss distance: 727 m. Landing Rollout: 3,279 m. EVA: Jerry Ross and Sherwood Spring, EVA No. 1, duration 5 hours, 34 minutes. EVA No. 2, duration 6 hours, 46 minutes. Family: Manned spaceflight. People: Cleave, Neri Vela, O Connor, Ross, Shaw, Spring, Walker. Country: USA. Spacecraft: Atlantis. Projects: STS. Launch Sites: Cape Canaveral. Agency: NASA, NASA Houston. 1985 November 26 - . STS-61-B - Wakeup Song: Air Force Hymn - . 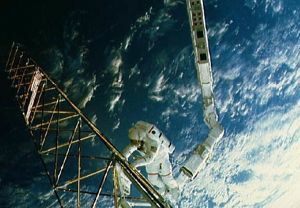 Flight: STS-61-B. 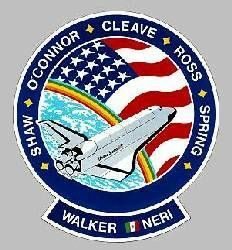 "Air Force Hymn" for first Air Force space shuttle commander, Brewster H. Shaw, Jr..
STS-61-B - Wakeup Song: America the Beautiful - . Flight: STS-61-B. "America the Beautiful". 1985 November 30 - . 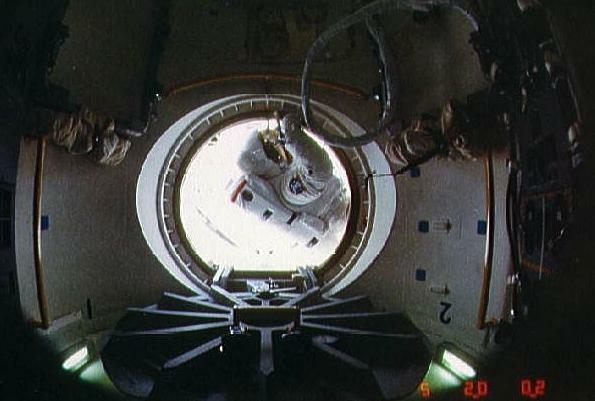 STS-61-B - Wakeup Song: Marine Corps Hymn - . Flight: STS-61-B. "Marine Corps Hymn" for pilot Bryan O'Connor. 1985 December 2 - . STS-61-B - Wakeup Song: Notre Dame Fight Song - . Flight: STS-61-B. "Notre Dame Fight Song" or"Notre Dame Victory March", a joke played on Jerry Ross, a graduate of Purdue, one of Notre Dame's rivals by Jim Wetherbee. CAPCOM: James Wetherbee. STS-61-B - Wakeup Song: Born in the U.S.A - . Flight: STS-61-B. "Born in the U.S.A" Bruce Springsteen.